A romantic, clustered wedding bouquet of white iceberg roses and ivory David Austin roses exquisitely arranged by our professional wedding florists. A variation of the bridal bouquet design is available for bridesmaids based on the above sized prices. Wedding bouquet handles wrapped either as `gripbound` or fully covered in white or ivory satin or organza ribbon. Optional bridesmaid bouquet handle either `gripbound` or fully covered in a satin or organza ribbon to match dresses (please specify preferences and ribbon colour details in the `Special Delivery Instructions Box`). 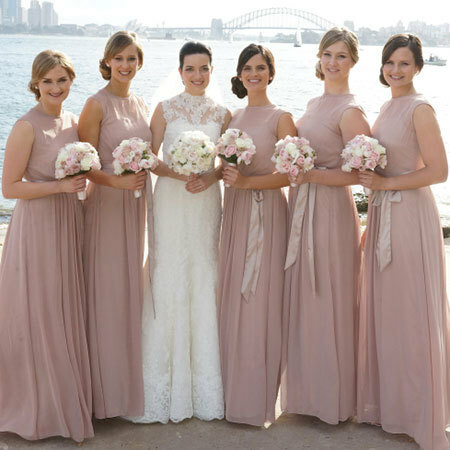 Order online or customise your bouquet further by contacting us on enquiries@bridesinbloom.com.au. Alternatively click on this enquiry link for a fully customised wedding flower quote within 48 hours. Season Availability: Mid October to Mid May. 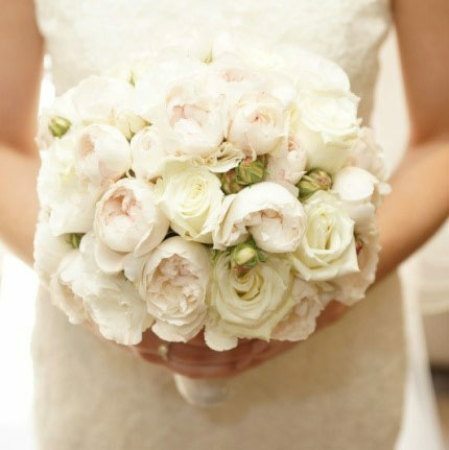 Order Cut-off: Minimum seven working days prior to wedding, preferably earlier to ensure supply of requested flowers. 2016-10-02 the flowers that I ordered were not in stock and was not listed as not availuable so I could choose something else as this was a bridal bouquet and my daughter did not have flowers for the day.